totally and absolutely not fit for purpose here...they only give pedestrians a very dangerous false sense of security. Nope. They only give foreigners a very dangerous false sense of security. Similar happened to me in the UK. I would not pay the fine and I won the court case. These authorities still don't know that it is their responsibility to protect people rather than rip them off. Swindon , Hartlepool and Llandudno are among three authorities that have pulled similar and check on the 'net where others can be found .. This happened to a mate of mine who parked outside a doctor's surgery in Stoke. 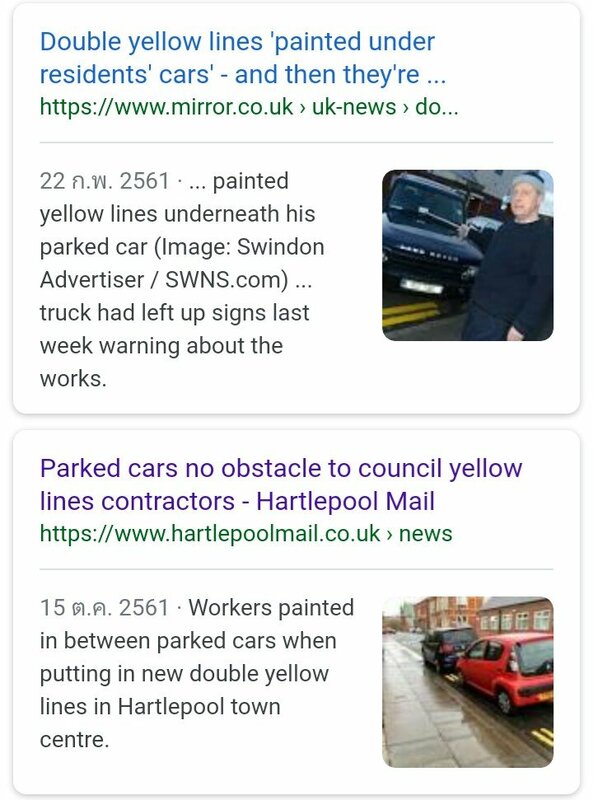 When he came out they had painted double yellow lines along the road (apart from where his car was parked, of course) and he had a parking ticket. He was incensed. He took the matter to magistrate's court and the verdict was in his favour. 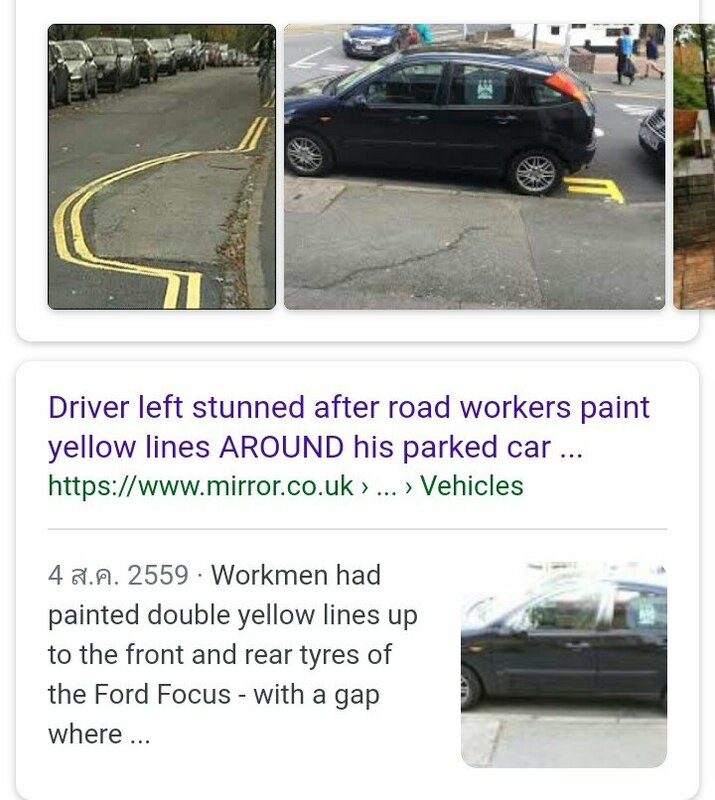 If they were installing new doubles and they could not complete the lines with an end tab, this is a short line at 90 degrees from the kerb, then the lines are not complete and not legal. This looks like a Mr Bean episode. Well, I see from the video she is right and that would make the police, WRONG. shortly followed by 2 million baht being returned to a Russian who had accidentally left the money after purchasing "gai torte" for 30 baht from a street vendor, who quick wittedly handed it to a taxi driver who chased them down the road, he got stuck in a traffic jam so thoughtfully handed it to a "win taxi" who managed to catch up with them !! !